A story from Peter Tootill, Age UK Malvern, Digital Inclusion Volunteer. We are a group of volunteers who are providing one to one sessions for older people to help them get online. More and more services are going that way these days and relatives are often far flung. So being able to use the internet and email can be a boon. We work in a small town called Malvern, in the UK, famous, in the UK at least, for its water (the Queen always used to take Malvern Water with her on her travels until the bottling company closed the well down) and an English composer called Edward Elgar. We provide our sessions under the auspices of the local branch of Age UK, a British charity for older people (formed from two groups that merged: Help the Aged and Age Concern). Our ‘students’ use a variety of devices – some have laptops but tablets are getting more popular. Email is one of the most common things they want to learn but, of course, we cover a wide spectrum including how to search and how to stay safe online. We use the Teamup calendar as a way of easily seeing who, from the group of tutors, is available for the sessions and who is not. It is so easy for each tutor to manage their own schedule and for all of us to view and share the information. We have looked at other options but none has the flexibility and ease of use of Teamup, especially when we are all volunteers and are not based in the office and so don’t have ready access to corporate tools. Thank you Peter for sharing this wonderful story. 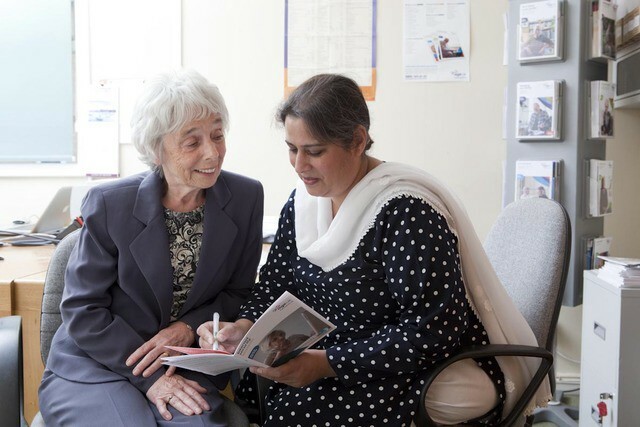 We are happy to know that our work has indirectly contributed to helping older people get online by making it easier for your tutors to manage their own schedules and share information.